Barbara began practicing massage in 1988 while transitioning from her professional engineering career. She completed massage school in Santa Fe, NM in 1991. Over the years since then she has attended numerous continuing education classes including craniosacral, orthobiotomy, Bowenwork, sports massage, myofacial release, amongst others, and is extremely excited to add Tensegrity Medicine as a platform to determine the most efficient and effective treatment plan for each client. In addition to her analytical background, Barbara has been a high-level competitive athlete in multiple sports for most of her life, and a coach in several sports. She brings the knowledge gained from these life experiences into her treatment sessions. Her clientele range from the very young to the elderly, from world class athletes to those relearning their physical capabilities. She gets great joy in seeing people open to their own healing power. 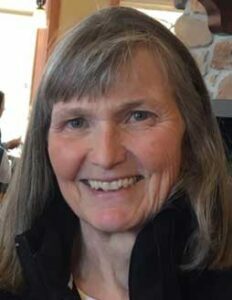 Barbara lives and works in Hood River, OR where she enjoys participating in a multitude of outdoor activities, especially with her dog and horse.